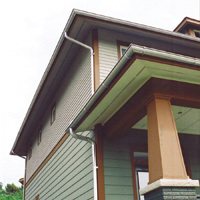 Half round gutter and round corrugated downspouts provide a traditional victorian look. 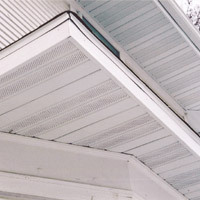 Straight face gutter blends into the fascia, making the gutter nearly unnoticeable. 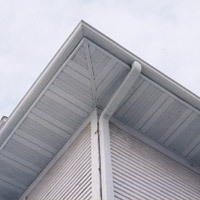 Aluminum soffit and fascia adds to the beauty of your home and eliminates painting. 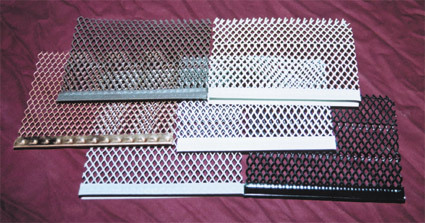 Our leafguard screens are available in 6 colors. 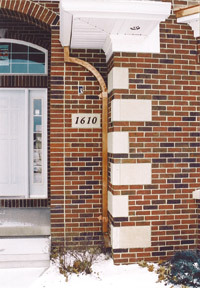 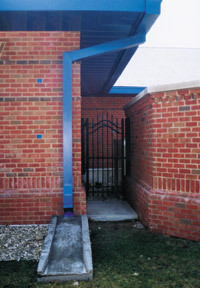 We custom made this gutter and downspout system for the Marion Library. 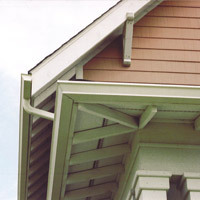 Copper adds an elegant look to any decor.